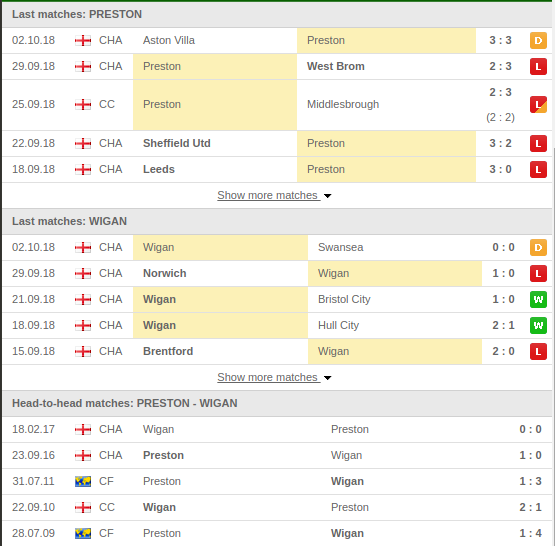 Preston did well to beat QPR in the opening game of the league but ever since that game, they have performed poorly in the rest of the games. They lost 3-2 to West Brom to extend their winless run in their last nine league games holding them at the bottom of the table. 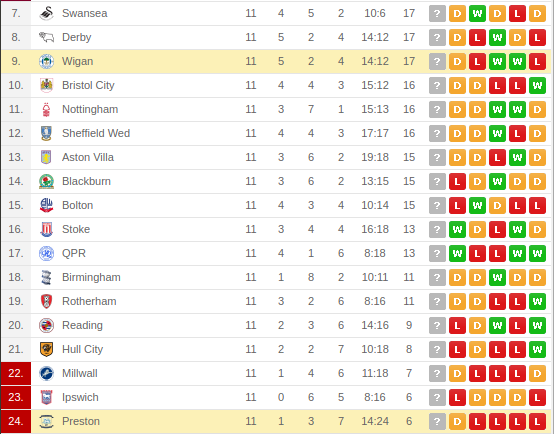 Wigan failed to build on their two consecutive game win over Bristol and Hull city to lose to Norwich away from home. They are at position eight on the table with 16 points having won five games, drawn one and lost four in the league. 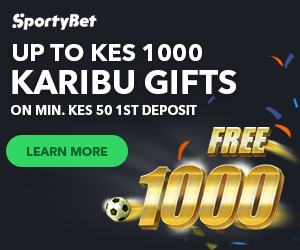 They have performed dismally away from home having won one game and lost four in the five away league games. Preston have won two games, drawn five and lost six in all their meetings with Wigan. 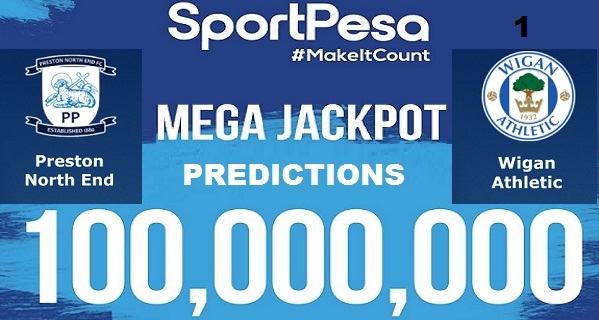 The first game of this week Mega Jackpot is between two championship sides . Preston showed character in the mid week to Hold Aston villa but its their leaky defence that is costing them.